Growing up, dumplings were not a part of my vocabulary. In point of fact, I was well into adulthood before I had my first matzoh ball, a light and heavenly snowball bathed in chicken stock. Or its Southern cousin served with yellow gravy and fried chicken. And that was not to mention its plethora of Chinese ancestors, each wrapped around a mind-boggling variety of fillings from chicken to corn to scallops and peas to shrimp to…well…we'd best not go there lest the list consumes the whole post. Needless to say, each one was its own revelation, a bit of doughy wonderment made of the simplest ingredients, mostly flour and water artfully combined with centuries of tradition. 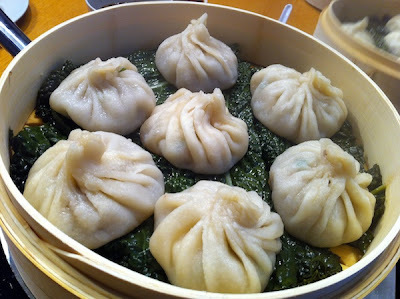 So when I read my brother's description of the soup dumplings of Shanghai that he found on a trip there a couple of years ago, I was transfixed. His description of his first encounter with XLBs was telling: "As nice a husband as I am, if it came down to survival and that last xiaolongbao could get one of us off the desert island alive, [my wife] may have regretted her marital choice. I'm talking not just dumplings here. I'm talking barely held together bundles of translucent doughy joy, filled with a dab of meat gelatin which melts upon steaming." 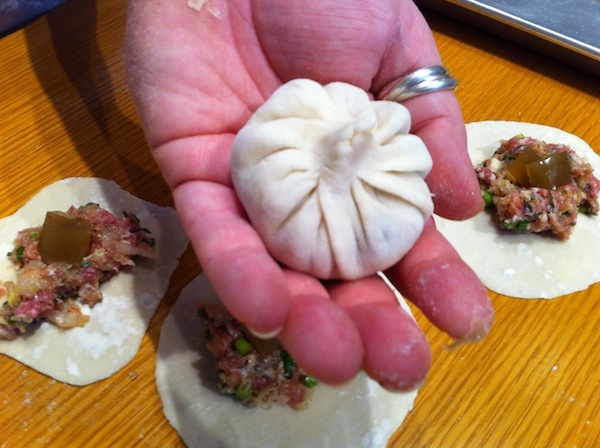 So when I heard that my neighbor Susana was offering a class on making these and other Asian dumplings at her new cooking school, Portland's Culinary Workshop, I was all up-ons. The class description says it all: "From Japanese gyoza to Chinese soup dumplings (xiaolongbao), learn to make these pockets of dreamy goodness and all the dipping sauces that accompany them at this hands-on workshop." Shu Mai, for you dim sum fans, is also part of the syllabus, so come prepared for some major consumption of goodness as well as some dynamite appetizer action at your next party. Details: Dumplings: Pockets of Goodness. Mar. 2, 6:30-9:30 pm; $65. Mar. 16, 6:30-9:30 pm; $65. Preregistration required. 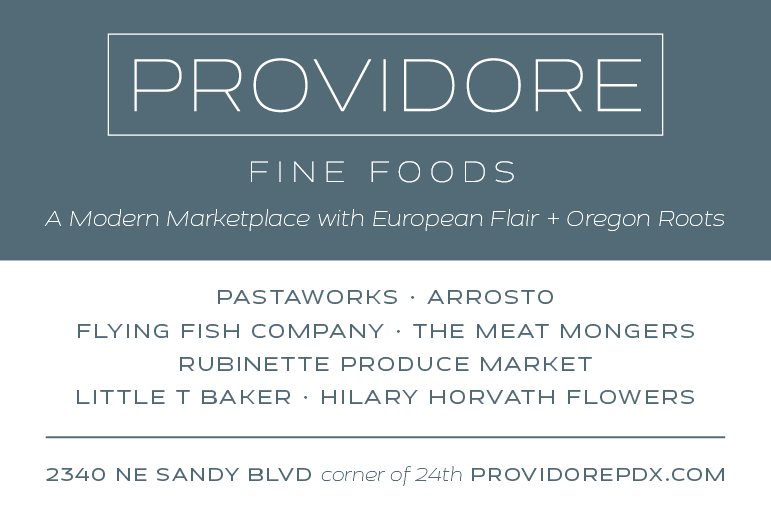 Portland's Culinary Workshop, 807 N Russell St. 503-512-0447. I was just talking about how much I wanted some of these! And I couldn't figure out how you fill a dumpling with soup, but gelatin makes so much sense. Now to find a recipe. 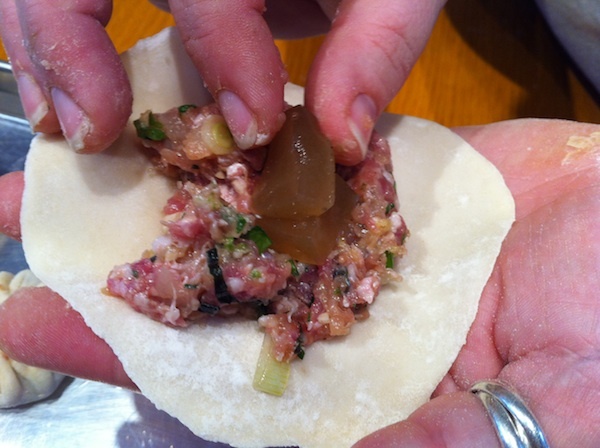 You should come up for a class…they'll be making the dough and fillings for all the dumplings!